Small rural businesses seeking to create new higher paid and higher skilled jobs in the Sheffield city region (SCR) can bid for a slice of a £24m government growth programme. Local priorities have been established across the country meaning that the funding will be directly targeted at initiatives that will bring the biggest benefit for those local areas. Opportunities could include helping people to expand or set up or new businesses, developing new food processing facilities and promoting tourism. Grants are funded by the European Agricultural Fund for Rural Development (EAFRD). 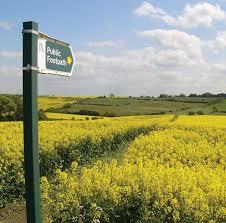 The Rural Payments Agency (RPA) manages the grants, working with Local Enterprise Partnerships (LEPs). For the Sheffield city region the specific call for projects states: "Over a quarter of the businesses in the SCRLEP area are in rural areas. Around 86% of these are micro-businesses compared to 77% in the urban parts of the SCR. Self-employment is also higher in the SCR's rural areas than urban areas (11% compared to 7%). SCR's rural areas offer specific economic opportunities associated with the attractive landscape and quality of life offer beyond the visitor economy. "SCR's rural areas also face a number of economic challenges. Farmers are facing severe economic pressures from reduced prices for their produce. Traditional sectors, such as agriculture and forestry, account for the majority of businesses in SCR's rural areas. SCR LEP aim to diversity this business base to increase growth in its rural areas and create new well paid, and highly skilled jobs." Examples of support include investment in equipment, technologies or processes; diversification; and construction or establishment of workshops, factories, plants and other premises and facilities. Grants will be available from £35,000 up to £140,000. Applicants can apply for a grant to cover up to 40% of the project's total eligible costs. The minimum total eligible cost of a project for this call would therefore be £87,500. The Sheffield city region has been set aside £810,000 and funding will be offered to a maximum of 23 projects, but the actual number of projects supported may be lower, dependent upon the scale and range of the projects coming forward. A further two rounds of the Growth programme are expected in August and September.